Length is approximately 37 inches from back neck to hem. Across the shoulders is approximately 18 inches. 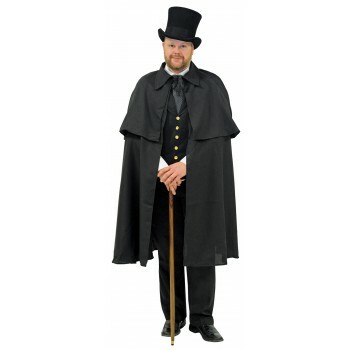 Cape only, does not include top hat, shirt, pants, cane, or shoes.